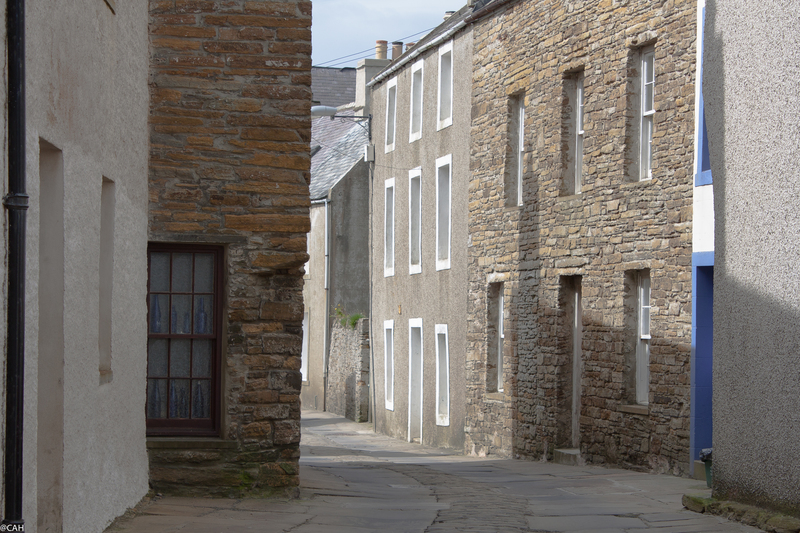 We spent the morning exploring Stromness, dodging the cars in its narrow streets and enjoying the very interesting museum which covered the local history and natural history plus the town’s links to the exploration of the North West Passage, the Hudson Bay Company and parts of Africa. There are narrow passages down to the water and running up the hill. 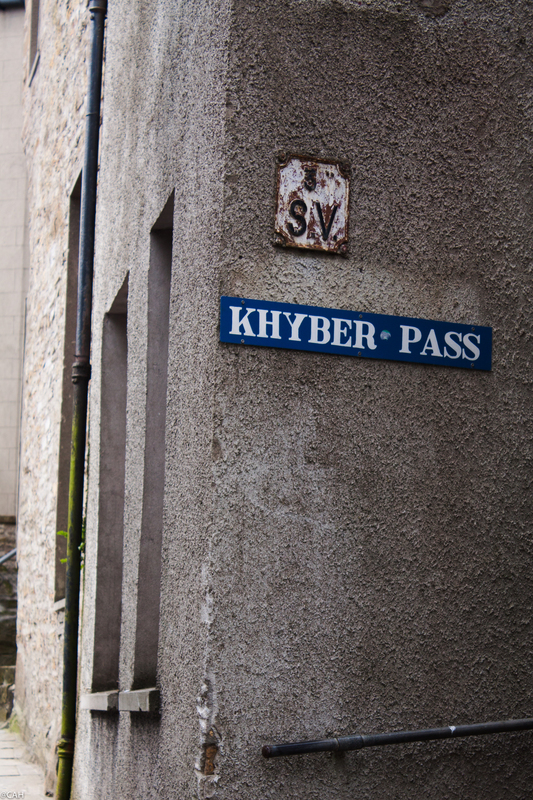 Stromness still has an independent bookshop and a great cafe. 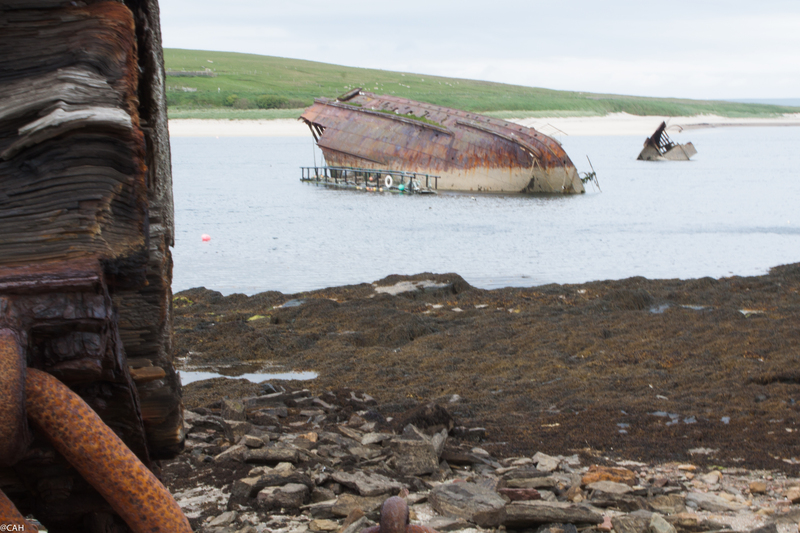 After lunch we headed south across the Churchill Barriers at Scapa Flow which are now causeways to link four islands. 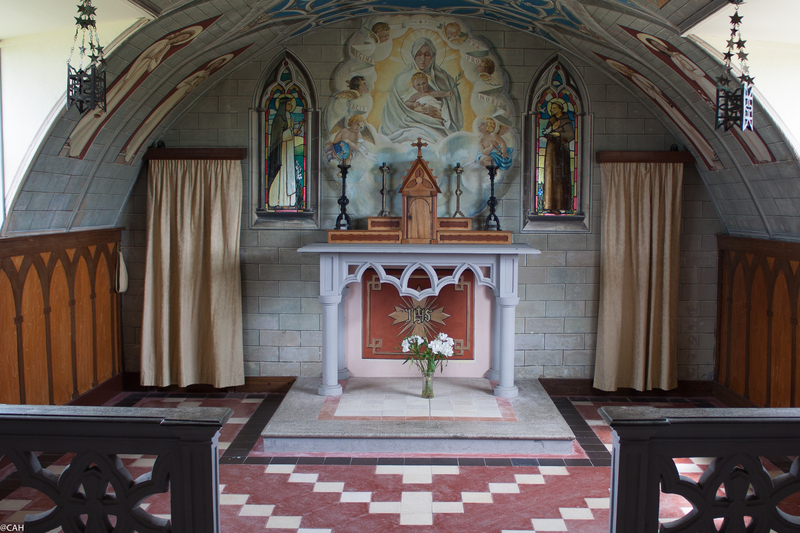 The first, Lamb Holm, has an Italian chapel built from two Nissen huts by the Italian prisoners of war who worked on the barriers. Weddell Bay had a little corner near the barrier which was great for shell and sea glass hunting. We also stopped off at the Fossil & Heritage Museum which in addition to all the fossil collections, also had an exhibition on the barriers. I discovered what a belemnite was, which interested me as we have several fossils which are cross-sections of its guard. We find them regularly on White Park Bay in Northern Ireland. 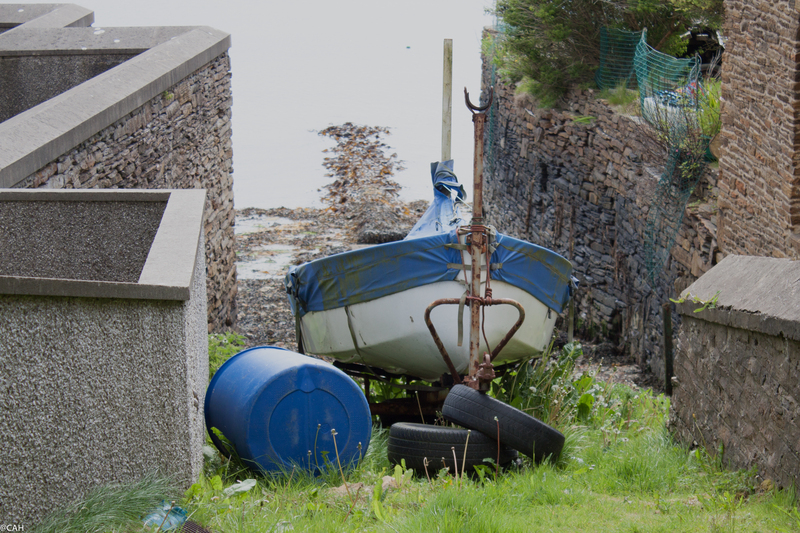 Further on we passed the shipwrecks near the barriers. 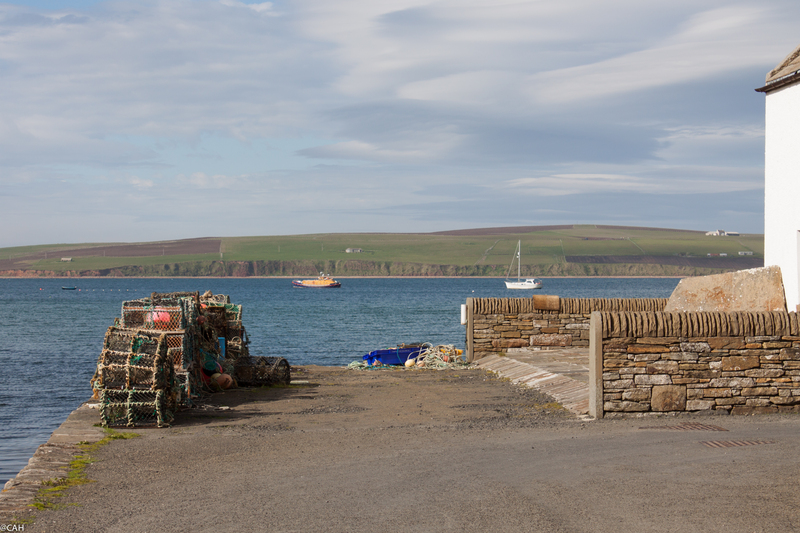 Once we were on South Ronaldsay it was a fairly straight run down to Burwick where the ferry departs for John O’Groats. On the gable end of one roadside house we passed, someone had stencilled ‘brothel’ in large letters. 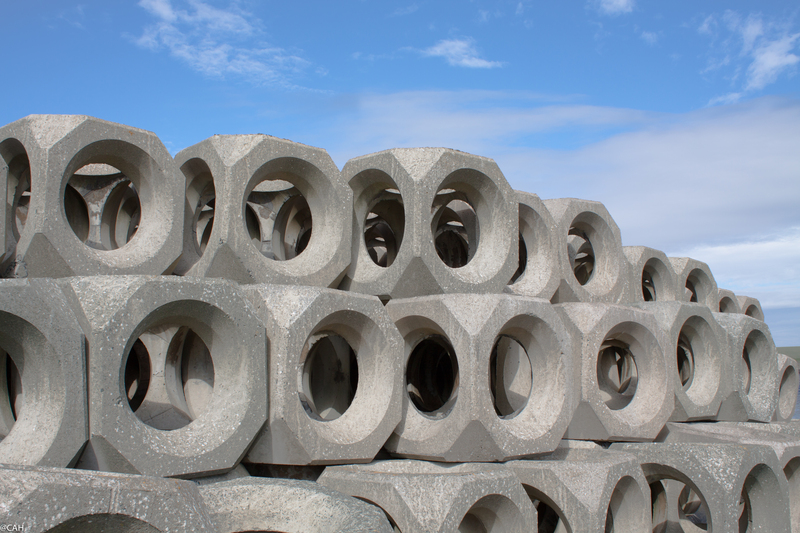 At Burwick we watched the ferry depart and looked at the huge pile of concrete shapes waiting to be added to the harbour wall defences. Back in St Margaret Hope where we had booked our evening meal it was time to have an aperitif. We wandered past a house which obviously belonged to the local hoarder as the garden was full of stuff as was the inside of the house as far as we could see. The first hostelry we found turned out to be dark inside, no-one in the public bar and no-one else in sight. We walked straight out the back door and on into the Murray Arms where we had a very friendly welcome in the bar and whiled away an hour with the newspaper until our table was ready in a nearby restaurant.